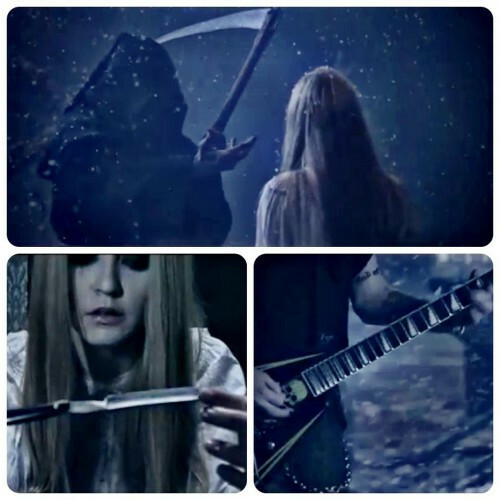 ‘Transference’ is a straight-up CHILDREN OF BODOM to-the-core-type song and therefore was a good pick for a video and obviously is one of our favorite tracks. It always had an evil vibe to it, which I wish I knew how to explain because it still gives me chills… Enjoy! Halo Of Blood is the eighth studio album from CHILDREN OF BODOM, and believe it or not, but we still managed to keep it fresh and new while still maintaining the elements that make COB sound recognizable. It’s got the fastest and the slowest song we ever made and lyrics wise there are themes we had never had before. It’s 10 new songs of pure Nordic metal and whether you enjoy it with a beer or a glass of water, I’m sure you will have a good time. It’s a shame too, Bodom was the band that got me into melodic death metal with Something Wild and this just is so far from the band that I used to listen to. it’s a pretty good track. i’ve never been a huge COB fan, and i’m not certain if this will change that. but i’m still hearing it in my head after the video ended, so maybe they’ll win me over, this time. I’ve never understood the praise Children of Bodom gets. Even their early “classic” albums are incredibly boring, and this more recent incarnation is even worse.